Our tender, smoky sweet flavor keeps customers coming back. 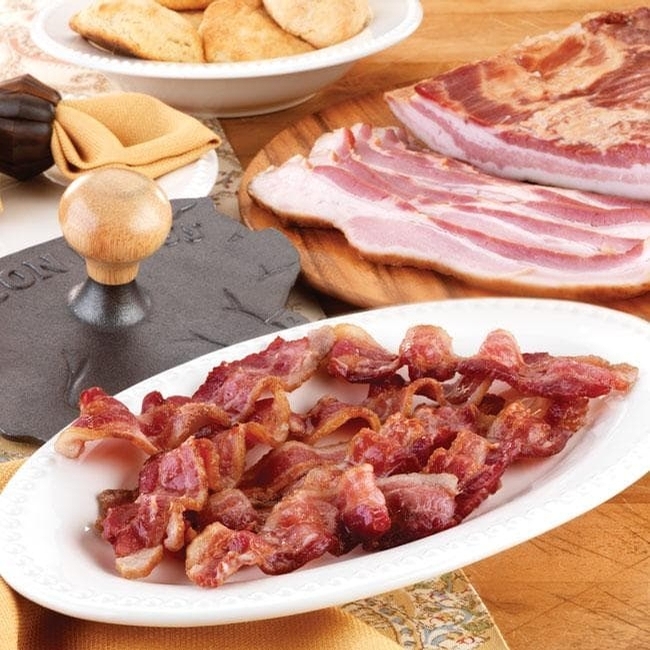 WHAT MAKES HARRINGTON'S BACON SO UNFORGETTABLE? Our Smokemaster selects choice lean pork bellies, then we cure our legendary bacon using our own proprietary recipe featuring pure Vermont Maple Syrup, then slowly smoke it for over 8 hours over corn cobs and maple wood embers. 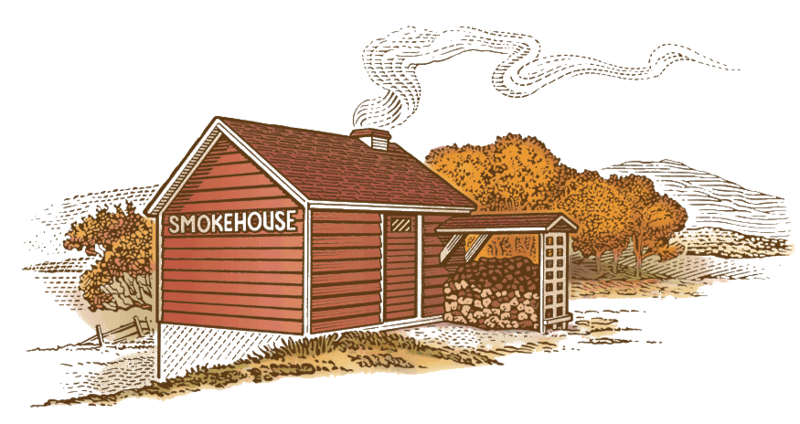 Unlike other bacons, which are made with liquid smoke or added flavors, our authentic Vermont smokehouse tastes comes through with every bite. Sliced Bacon, 1 lb. 6 oz.